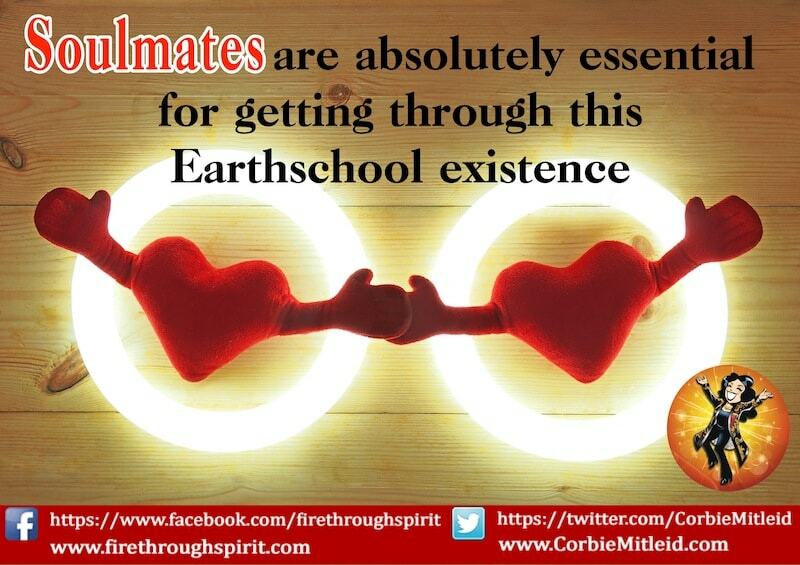 Soulmates…one of the most misunderstood, misused words in the metaphysical dictionary! So let’s look at a few ideas around soulmates, and THEN we can get to the reading…. DO WE ALL HAVE SOULMATES? Yes indeed. Like spirit guides, they are absolutely essential for getting through this Earthschool existence. 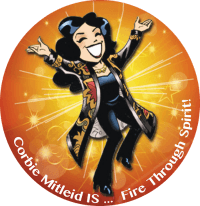 And we have more than one – they are our “core team,” the souls we incarnate with life after life, who cycle in and out of our lives with various levels of importance, depending on the life lessons each one wants to learn. WHAT DO YOU MEAN BY THAT? I THOUGHT SOULMATES WERE FRIENDS FOREVER! Some soulmates meet when they are kids and stay friends all their lives, it’s true. 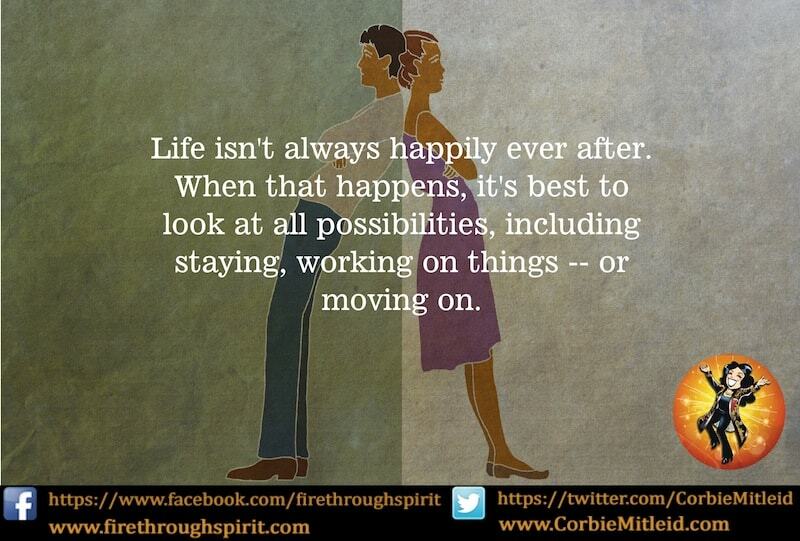 But finding your soulmate can happen later in life. some enter our lives as folks who teach or spur us and then cycle out; we never see them again. Some enter our lives for one brief, profound moment (the stranger who pushes us out of the way of an oncoming car; the homeless person we share a sandwich with), and change our direction by that one meeting. BUT I THOUGHT WE ONLY HAVE ONE SOULMATE AND WE’RE SUPPOSED TO MARRY THEM! So let’s look at two spreads: One asks about finding your Soulmate. The next one looks at someone you’ve already met to discover if they are part of your Core Team. 1: When will I meet my next soulmate? 3: Are they a Twin Flame? 4 AND 5: What is our past life connection? 6: What is their purpose in my life? 7: How will I meet them? 8: How will we react to each other on first meeting? 9: Will they be in my life for a long time or a short time? WHEN WILL THEY MEET: The Star card is the one with the most “spark” in this reading, and stands alone wherever it shows up. When it is drawn here, it says that John and the next soulmate will actually meet in Dreamtime before they meet each other here. 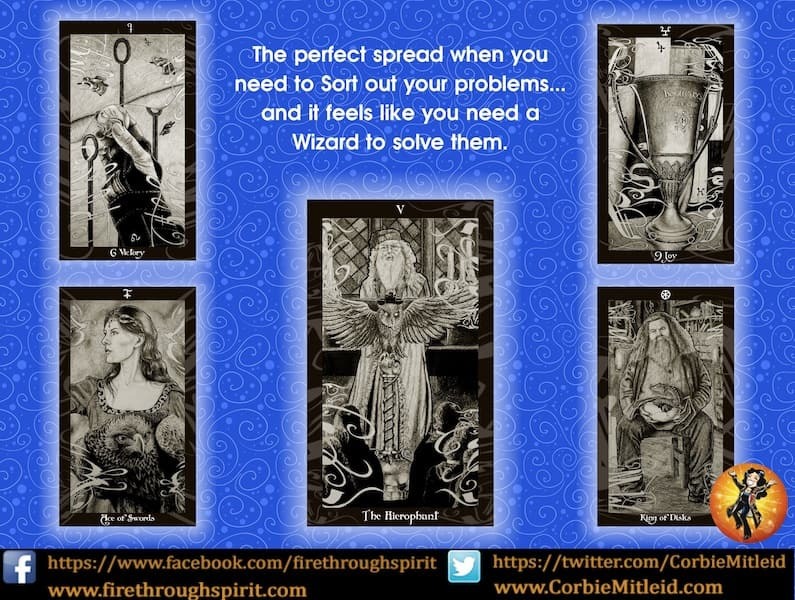 Otherwise timing cards are as follows: wands = spring, cups = summer, pentacles = fall, swords = winter. 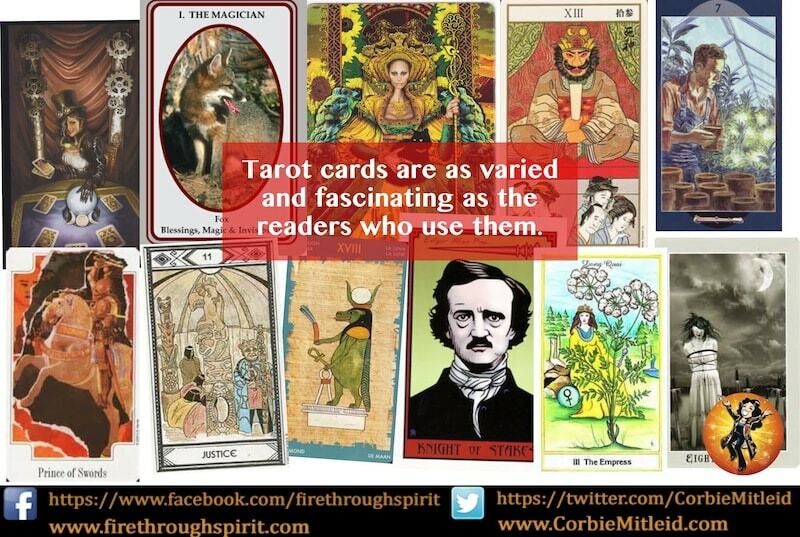 Major Arcana cards: around the next major holiday, which may differ according to one’s religion. MALE OR FEMALE: even numbers are male, odd numbers are female. Therefore, John’s next soulmate is male. IS IT A TWIN FLAME? This is ALWAYS “no” UNLESS the Star Card shows up in this spot. (And don’t panic. One doesn’t always have to marry a Twin Flame. Paramahansa Yogananda and his disciple, Sri Daya Mata, were Twin Flames and there was never anything but a teacher/student relationship). 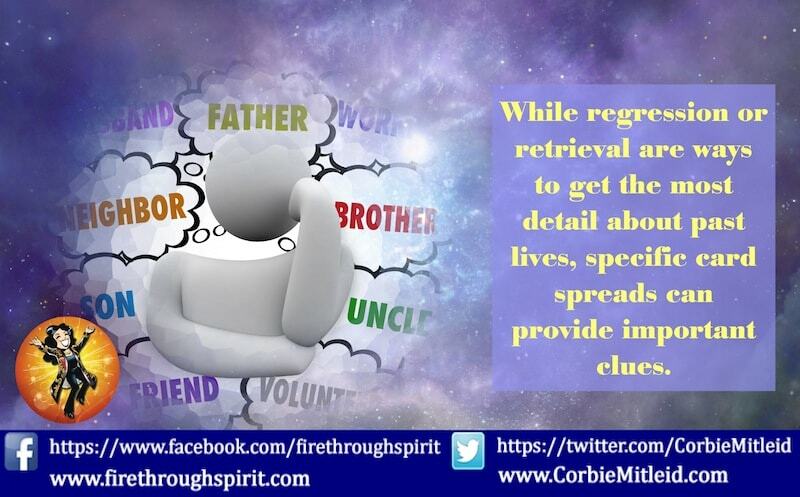 WHAT IS THE PAST LIFE CONNECTION? These two cards are read “together,” to tell a brief story, and does rely somewhat on the ability of the reader to tell a story based on the two-card energies. Here, you have two Sword cards, which means it was likely a challenging situation. 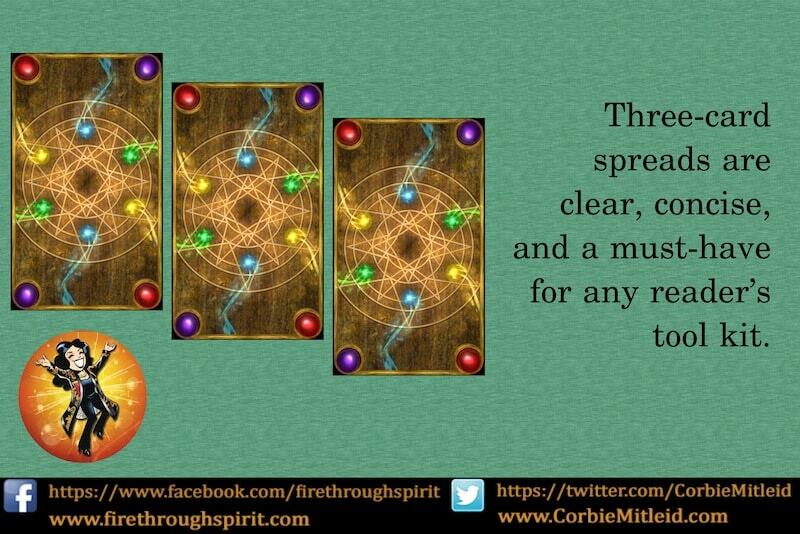 The 4 Swords card can mean incarceration, a forced period of introspection, perhaps needing healing. The 2 Swords talks of someone incapable of making a decision, or who must make compromises to move a situation forward. Tapping into John’s Guides, I sense that one person was in a healing crisis with a major decision needing to be made immediately; the other person did not make a decision in time to head off negative consequences. Notice I am not telling John which was which; this is not about “finger pointing,” but looking at the overall energies of the situation and being aware of what Karmic rebalancing may be required. HOW WILL THEY MEET? Here the card gets a standard interpretation. The Knight of Cups talks about emotion and creativity, the path with heart and compassion. Look for a situation where John is drawn into something new, something that perhaps makes a difference for humanity, like working on a Habitat for Humanity house. HOW WILL THEY REACT TO EACH OTHER? Again, look at the card for standard interpretation. There will probably be some kind of intellectual sparring rather than a warm emotional contact. WILL THE RELATIONSHIP BE OF LONG (MORE THAN FOUR YEARS) OR SHORT DURATION? Here, go back to suit indicators: Minor Arcana say a short duration, while Major Arcana signal someone who will be in John’s life for a long time. Swords equal one year, pentacles equal two years, hearts equal three years, and wands equal for years. So the 9 of Swords indicates that this is likely to be a sharp and clearly delineated relationship lasting not much longer than it takes to complete the project where they meet. No matter who you have been to each other last time — siblings, parents, teacher and student, heart partners, colleagues, competitor, enemies, or anything else — finding your Soulmate is guaranteed to be a life changer this time, in situations tailored to your current circumstances and life lessons. Be on the lookout for them, and when you find them, leave yourself open to adventure and learning in tandem!